I came to Japan in 2009 as a PhD student. 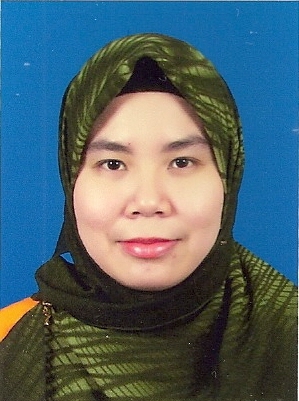 I am a lecturer from Universiti Malaysia Sarawak, Malaysia and now granted a scholarship from Ministry of Higher Education of Malaysia to pursue my study to Hiroshima University at Department of Semiconductor and Integration Sciences under the supervision of Professor Seiichi Miyazaki, Professor Seiichiro Higashi and Dr. Hideki Murakami. I am happy working with them and their personality always impressed me and made me feel extremely fortunate to work with finest advisors. At the start of my life in Hiroshima University, I attended Japanese language class where I met some friends from many countries and shared interesting cultural information. At first it was difficult to understand a Japanese culture and adapt with Japanese foods. As a Muslim, I avoid some foods which contain alcohol, pork and meat. I really appreciated the respect and understanding shown by our Japanese friends towards my diet restriction. But to some extent I tried to understand their culture if it does not conflict with my culture and religion. I learned a lot from the daily life of Japanese people. Japanese people work so hard. Japanese perfectionism makes this country (Japan) moves forward, technologically and economically. Besides their enthusiastic attitude is contagious, which makes the work environment is better for everyone. I firmly believe that all of these experiences will help me to render better services in my country later in life as an academician.